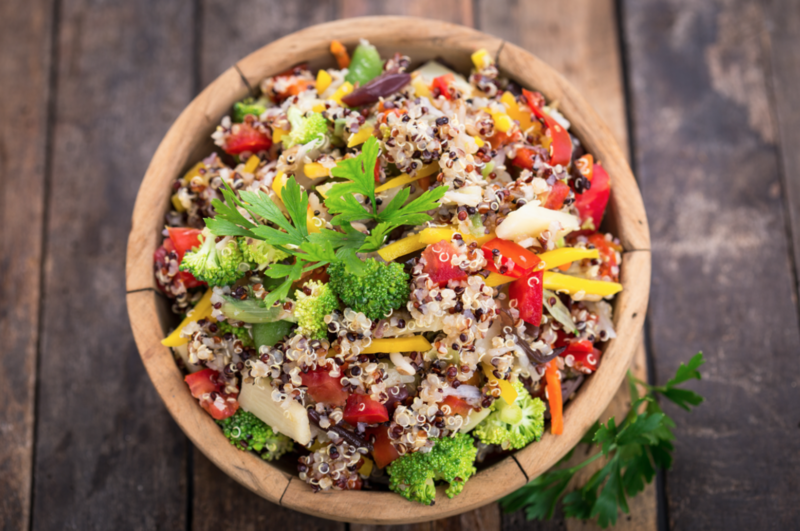 Give your quinoa salad a SHUGA! twist, this Quinoa Caprese and dressing recipe is full of flavor and nutrients! Basil, cherry tomato, chickpea, mozzarella cheese… yuum!!! 1 teaspoon of Lil SHUGA! Cook the quinoa according to the directions of the package. Add the cooked quinoa to a bowl with tomatoes, cheese and basil. Mix the balsamic vinegar, olive oil and SHUGA! Add the dressing and salt and pepper to taste. Option with chickpeas: Sauté the chickpeas for 2 minutes in olive oil, salt and garlic. Add to the salad. Add any other fresh or cooked vegetable of choice!